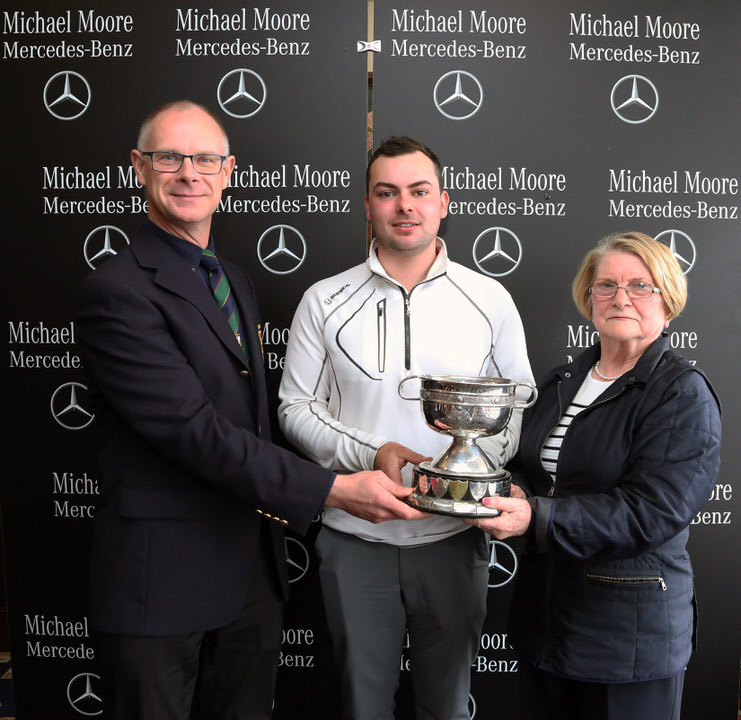 Bryan O’Looney (Captain, Athlone GC) and Mary McHale, (President Athlone GC) present the De Lacy Staunton Scratch Cup, sponsored by Michael Moore Car Sales, to winner David Reddan ( Nenagh GC). 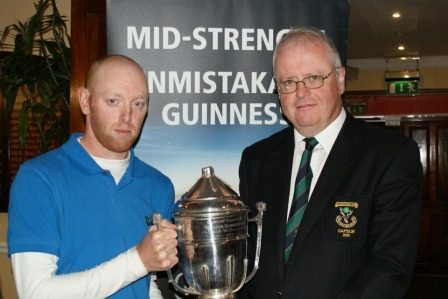 Nenagh's David Reddan Jnr defied tough conditions and fired a three-over 74 to win the revived De Lacy Staunton Scratch Cup at Athlone. 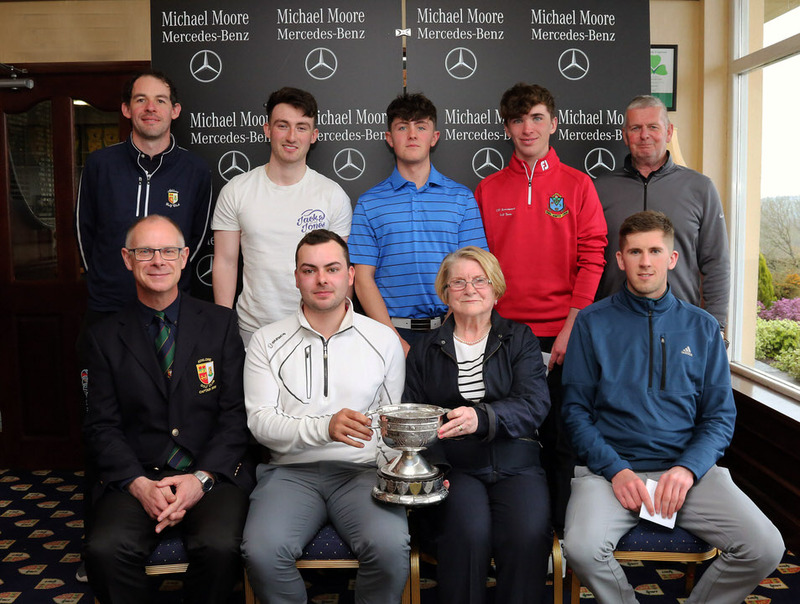 Reduced to just 18 holes due to inclement weather, the plus-two handicapper produced a gritty performance to overcome strong winds and heavy rain and win by a stroke from Carton House's Conor Stone. After a beautiful iron shot off the 18th tee set up a winning par, he paid tribute to playing partner, Simon Walker, for his encouragement, explaining that they spurred each other on to keep fighting the conditions. Walker was third with a 75 as Stone edged him out on a countback over the last three holes. Athlone's Sean Doyle, Eoin McGrath and Patrick Kenny Jnr did their club proud, finishing amongst the prizes.